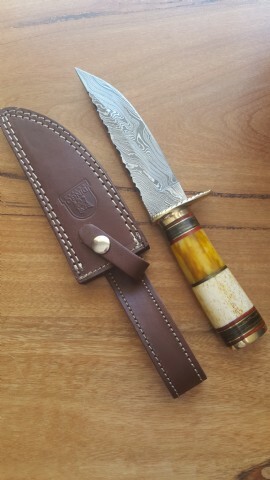 Eye catching detail in this DINGO knife. 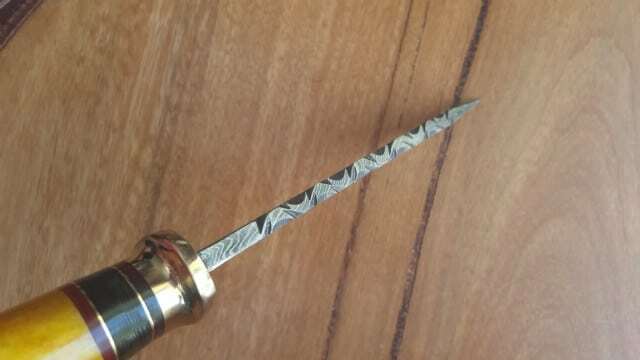 6 inch Damascus full tang blade that holds a sharp edge. 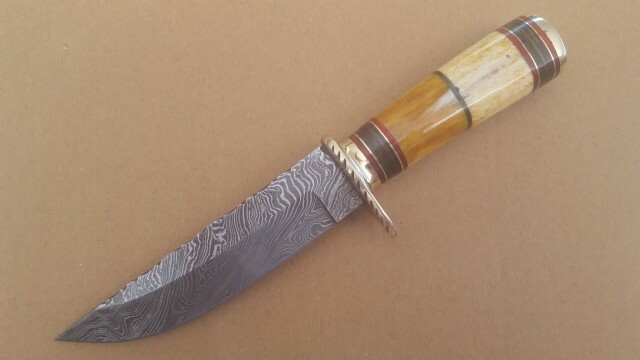 Hand filing on back of the blade adds extra style to this beautiful knife. 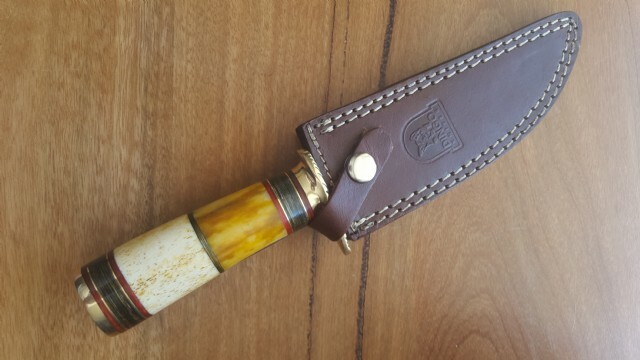 High detail on the two tone brown bone handle with brass and wood spacers. Red colour wood bands highlight the handle. NOTE: Brown tones on the bone may vary.